Mighty 8 has been engineered to put the outlets and power you need in the smallest possible footprint. It has 8 outlets of power and accommodates up to 5 power adapters. Mighty 8 is UL approved. 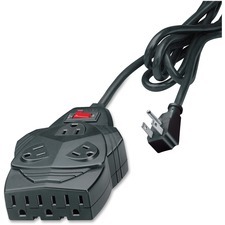 It has a 6' power cord, right-angle plug and an on/off switch with 15 amp circuit breaker.